Artist couple Christo and Jeanne-Claude are infamous for their environmental installation art, creating a number of iconic and controversial works since their first collaboration in 1961, up to and beyond Jeanne-Claude’s death in 2009. With their most recent work, “Over the River”, nearing completion after over 23 years of concept work and negotiations, Christo has announced a new piece coming to Italy next year! The work, titled “The Floating Piers”, will be exhibited at Lake Iseo in Italy, and will consist of 70,000 square meters of golden-orange fabric, which will comprise a floating network of bridges and piers. These bridges will serve to connect the riverside commune of Sulzano to the islands of Monte Isola and San Paolo. The bridges will extend across the lake’s surface, allowing commuters to simply walk across to the islands on foot. 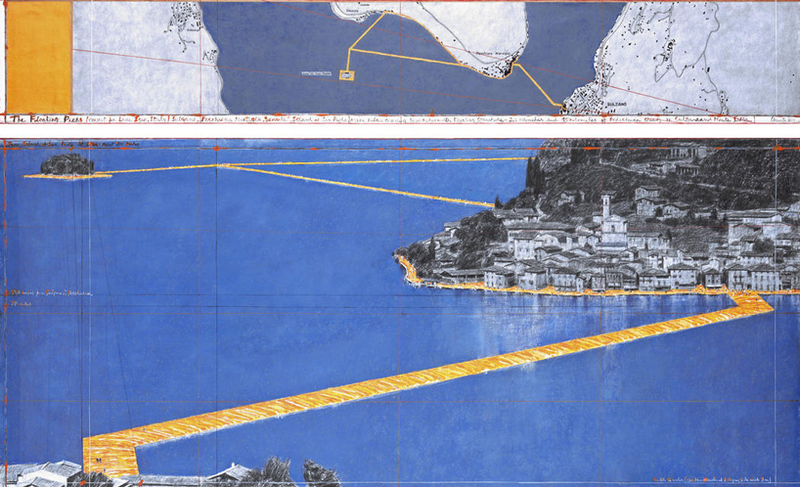 The Floating Piers will serve as Christo’s first large-scale project to be completed since Christo and Jeanne-Claude’s “The Gates” in 2005. With only concept sketches to give us an idea of what the final piece will look like, the exhibit is planned to remain at Lake Iseo for 16 days, after which the entire piece will be removed and recycled. Christo and Jeanne-Claude were a married couple of artists, both born on June 13th, 1935. 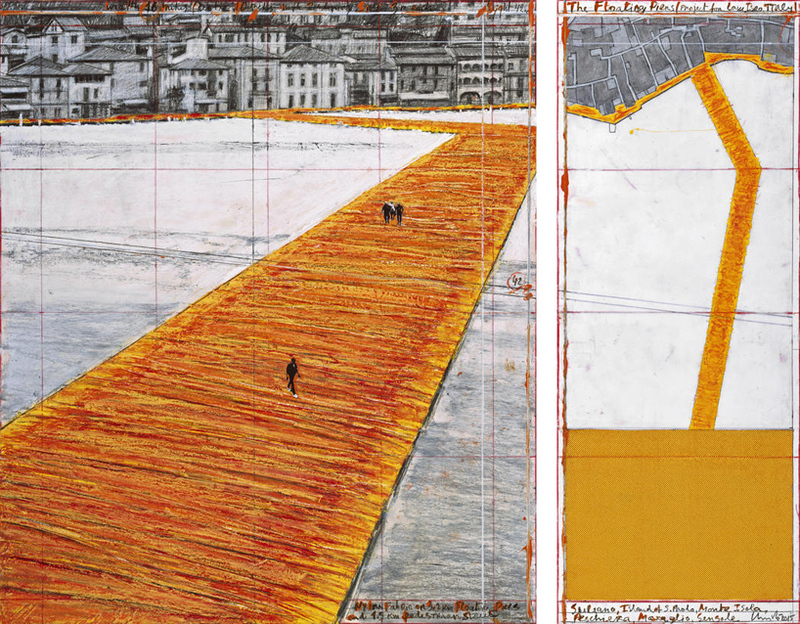 Christo, who attended the Fine Arts Academy in Sofia, Bulgaria, created works alongside Jeanne-Claude since their marriage in 1959 with their first work, Dockside Packages, releasing in 1961 in Cologne, Germany. Working with environmentally safe materials and constructions, they continued to erect temporary display pieces all over the world over the following decades, including pieces in Germany, France, Australia, the United States, Japan, Italy, and more. 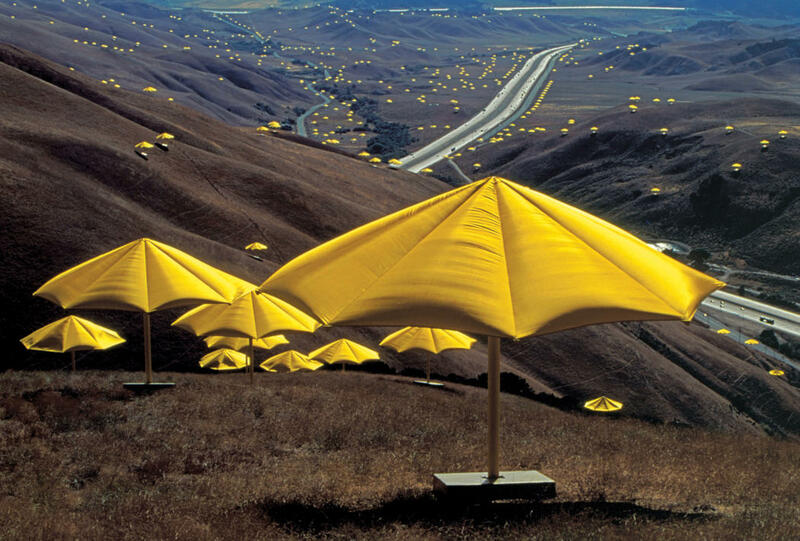 A trademark of their work is that nothing is left behind once the installation has run its course; the entire work is taken down and recycled, and all of the fees and payment is taken care of directly by Christo himself. Jeanne-Claude unfortunately passed away in 2009, while Christo continues to produce works in their name to this day.